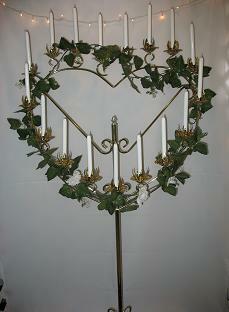 Brass Single Heart Candelabra, 17 light, freestanding. 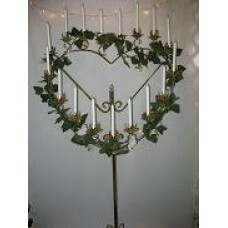 Includes mechanical dripless candles. Does not include greenery.